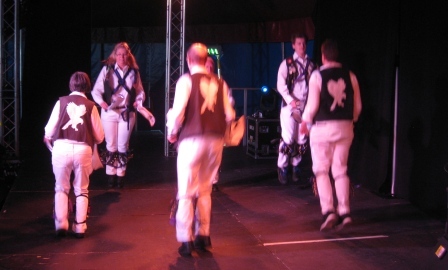 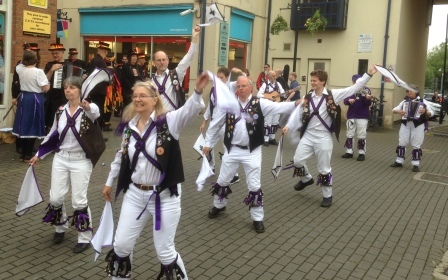 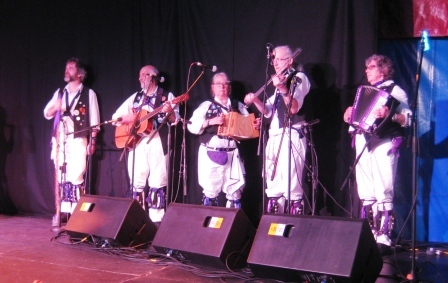 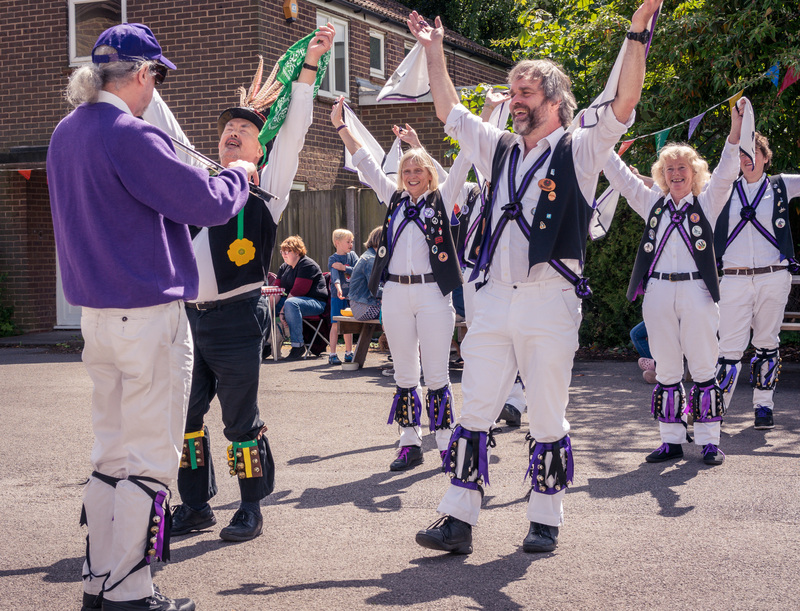 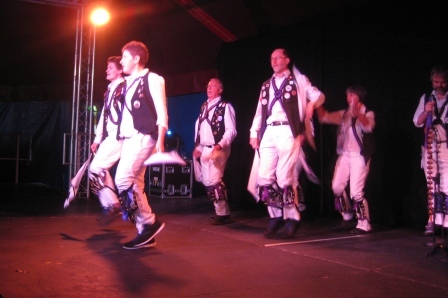 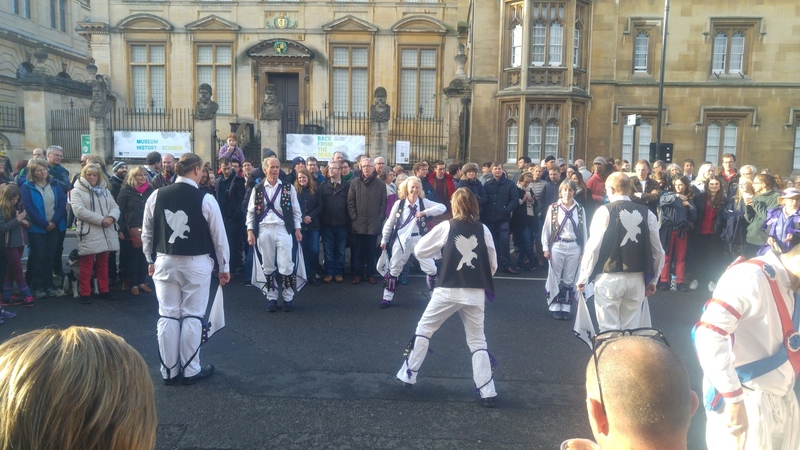 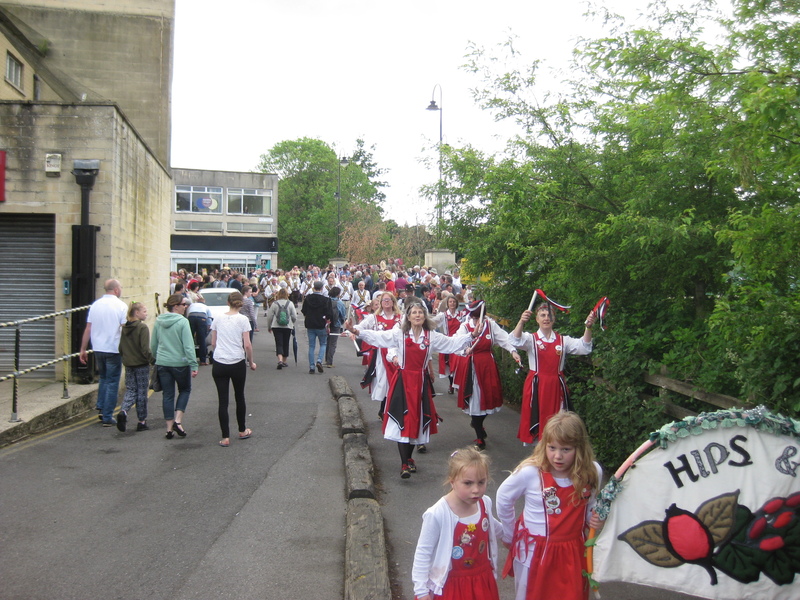 Chippenham Folk Weekend – starting at 1000 with a North West Clog and a Border side and soon after with NW Clog and Molly side! 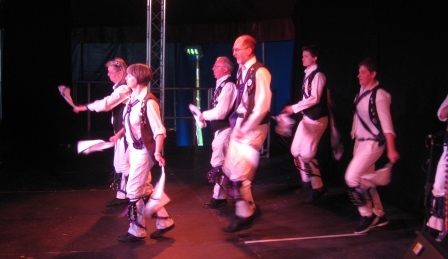 Quick dash to main stage in the big top at midday – with the Cry Havoc Big Band! 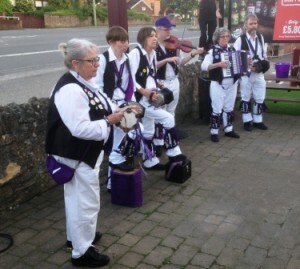 Good to see Steve back Strumming! Quiz – Why has Mick not got a partner? 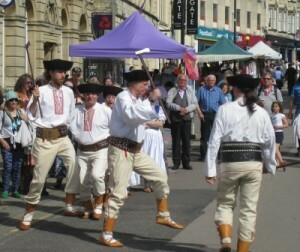 Even a folk dance side from Slovakia – actually from London And good to see Susie back dancing. 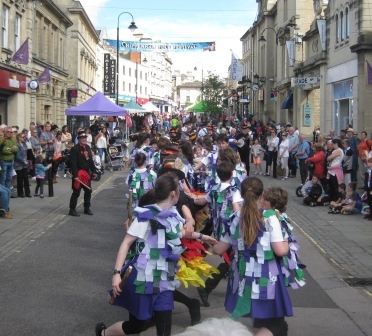 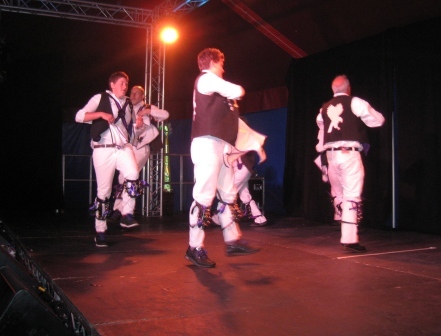 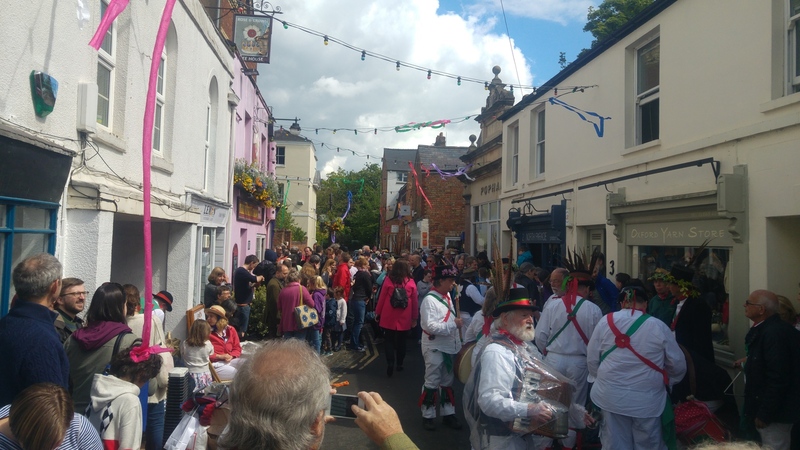 Last dance at 5pm – a long hot tiring day – but many thanks to organisers – great planning to put us with Traditional Welsh, Slovakians, NW clog, Rapper and Molly sides – a great festival for dancers. This entry was posted in Dance Outs on May 28, 2017 by Nigel Northcott. 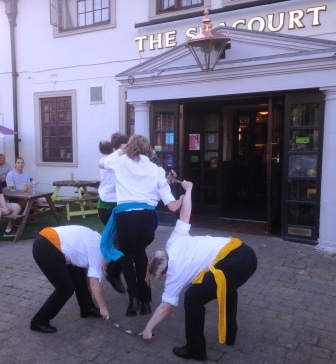 A glorious summer evening saw Havoc at ‘home’ with guests Mabel Gubbins; and splendid hospitality from the staff. This entry was posted in Dance Outs on May 26, 2017 by Nigel Northcott. 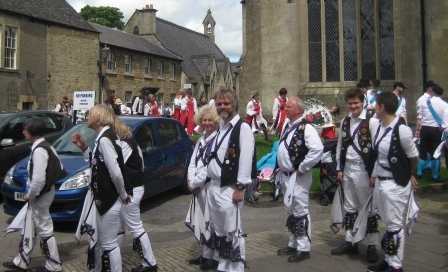 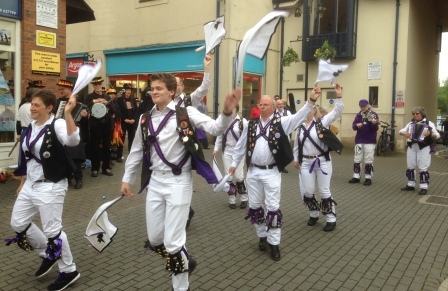 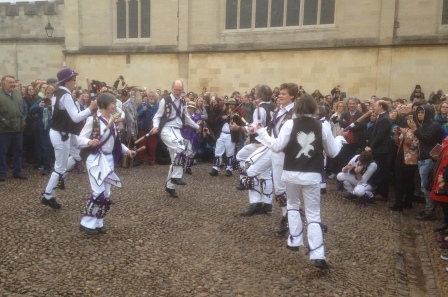 Another day when the rain just held off – on the dot of 1125 we set off up the hill – struggling with Havocs playing the Winster Processional at the front an Bill from Vale Islanders something else at the rear of the dancers! 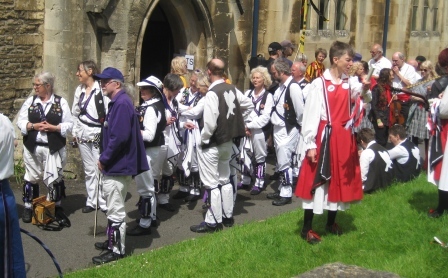 Once at the top field we took turns before lunch. This entry was posted in Dance Outs on May 20, 2017 by Nigel Northcott. 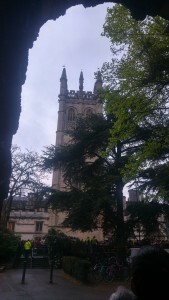 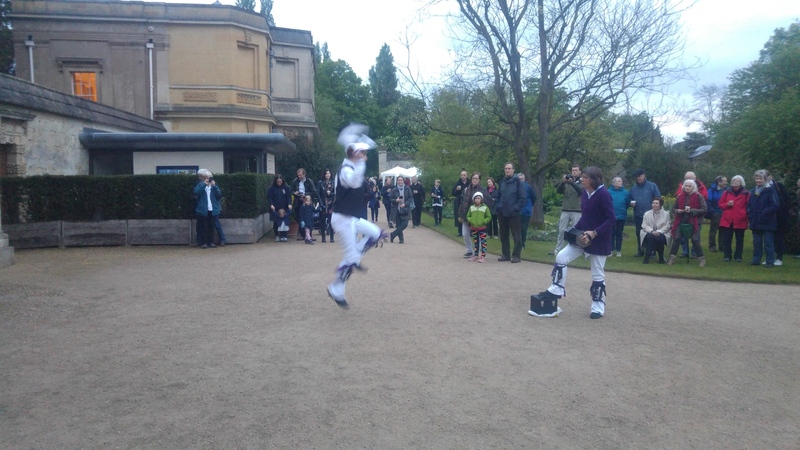 The rain held off and Havocs and Icknield enjoyed a supposed summer evening! 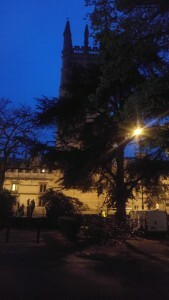 Gloomy or what! 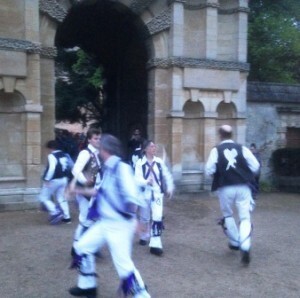 – Mind you the Peacocks enjoyed the music and joined in – not always on queue and we enjoyed the bangers and chips! 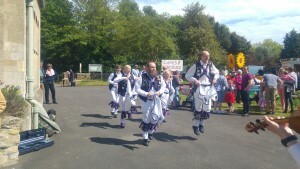 It was a busy weekend. 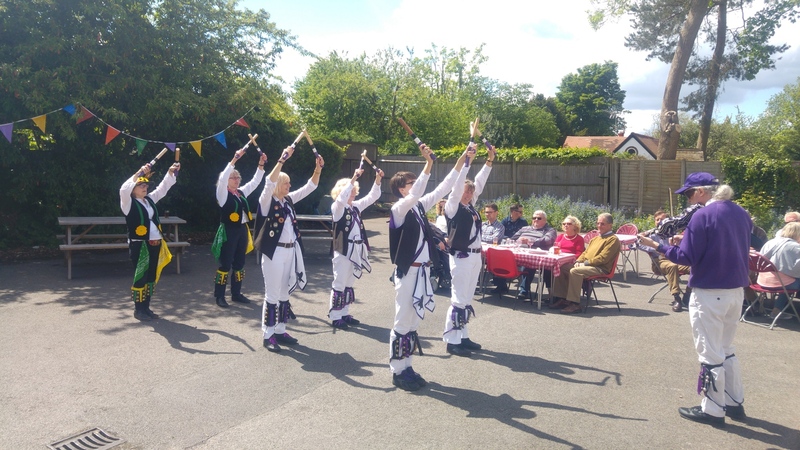 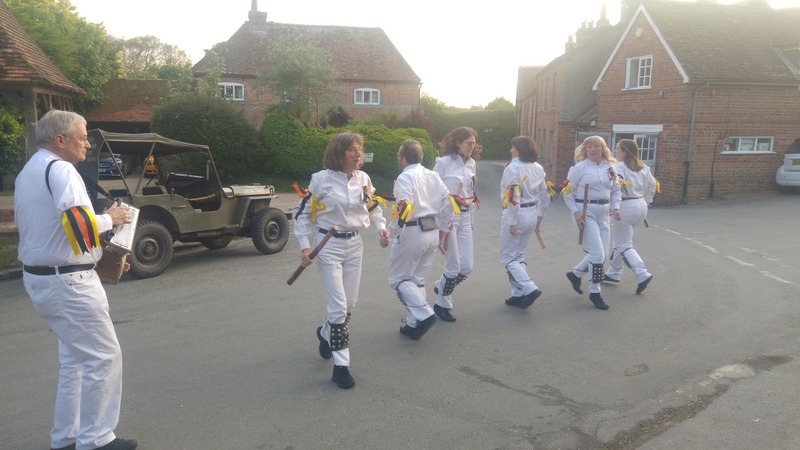 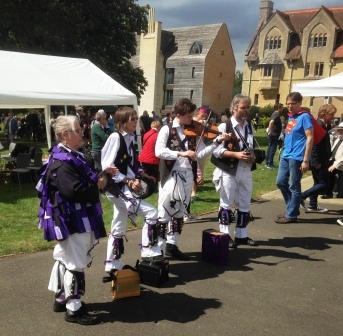 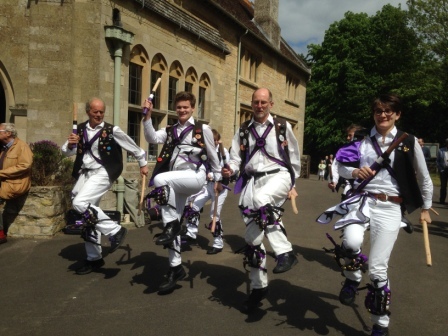 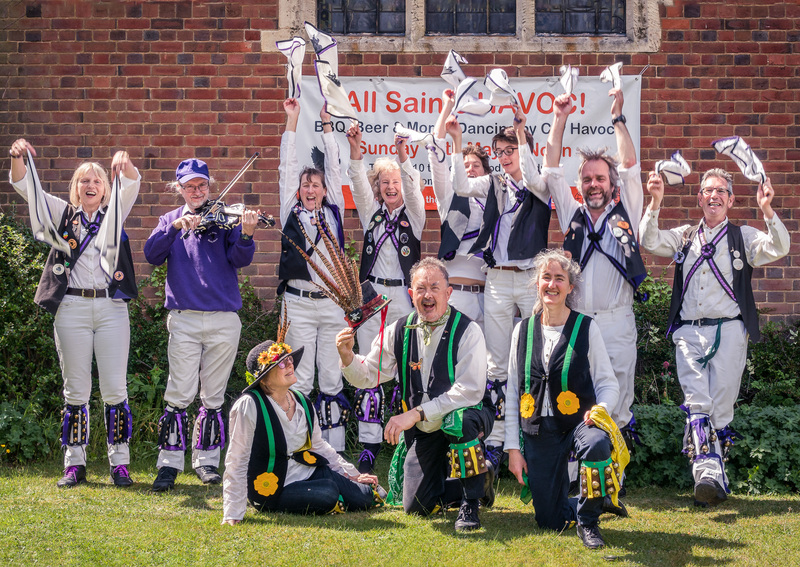 Fresh from Cuddesdon Church Fete on Saturday, a set of intrepid Havocs plus support from three stalward dancers from Wolvercote ventured out to south Buckinghamshire. 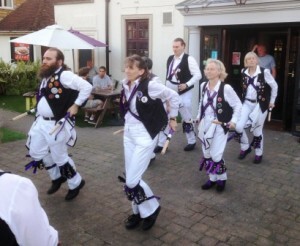 Mission: entertain a small church beer festival organised in part by My Mum. 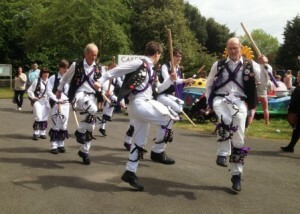 So we’d better be on good dancing form. 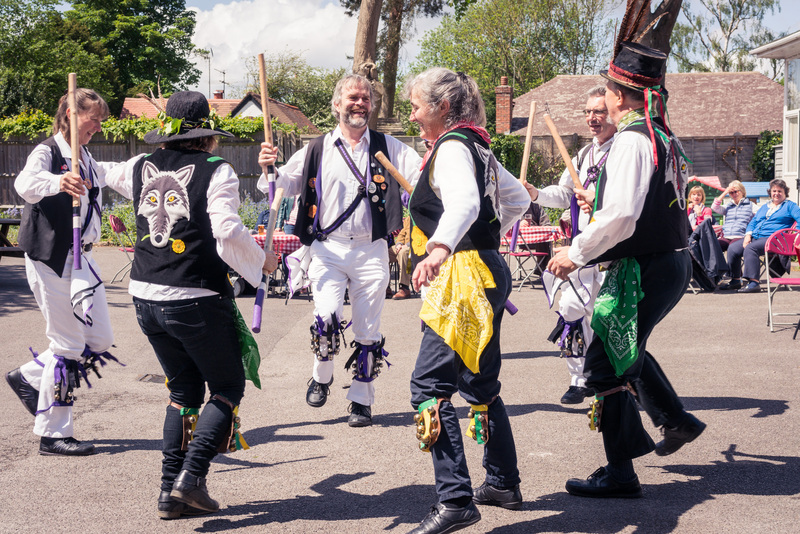 We had a few moments when we discovered that Wolvercote and Havoc don’t quite do some dances the same, but it all worked out in the end. 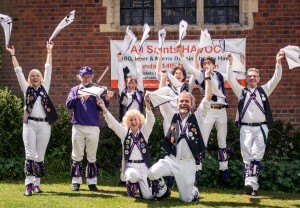 Havoc and Wolvercote sticks at the ready. Highland Mary finished without too much incident. 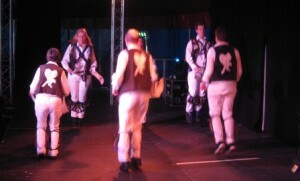 Young Collins in full flight. 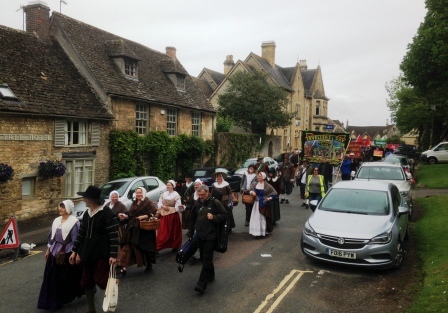 Havoc, Wolvercote and the banner. 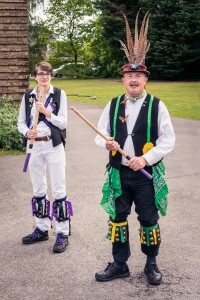 All the above photos courtesy David Moore Photography. 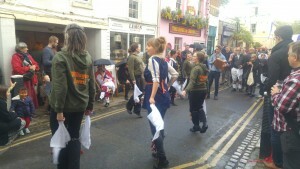 And one more of our own. Constant Billy about to start. All in all, a busy weekend. 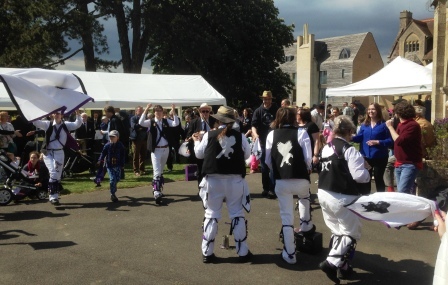 But a good one, not least for our charity for 2017, Abingdon RDA. This entry was posted in Dance Outs on May 16, 2017 by Jim Hague. A sunny afternoon at the Cuddesdon Church Fete. 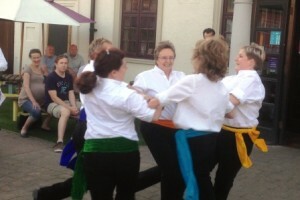 Jenny Lind wows the crowd! Banbury Bill in a sunny setting. Banbury Bill gets under way. 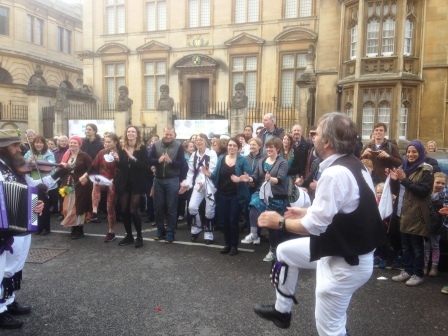 Our fine band of minstrels impresses a superhero – note not the real one – pants on wrong side of trousers! 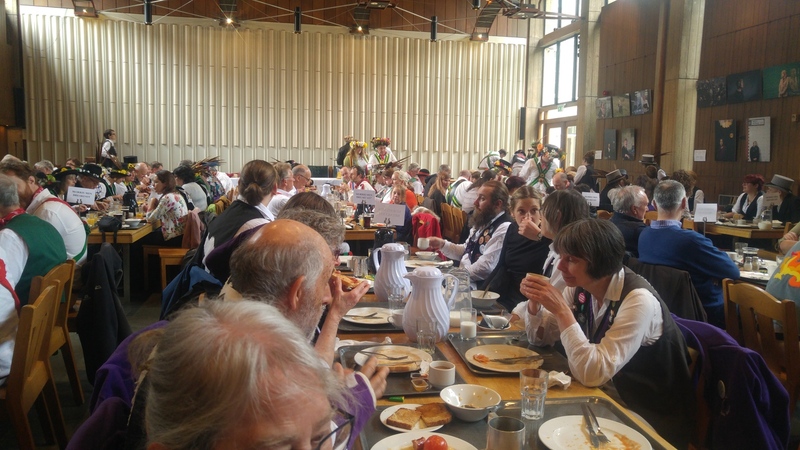 A delightful setting – donating to our charity and offering a free drink and burger! 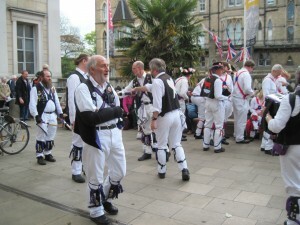 Mind you he couldn’t manage Shepherd’s Hey – probably too much on his mind. 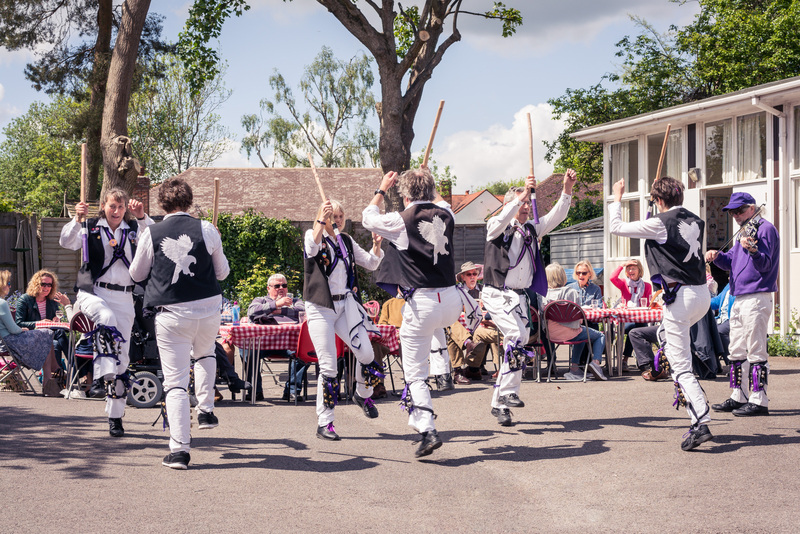 This entry was posted in Dance Outs on May 13, 2017 by Nigel Northcott. 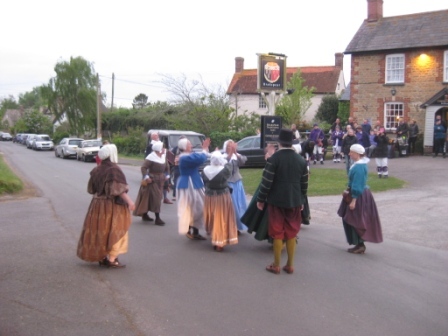 The Bell in Aldworth is a pub that appears to have stepped out of a historic novel (in the best sense). 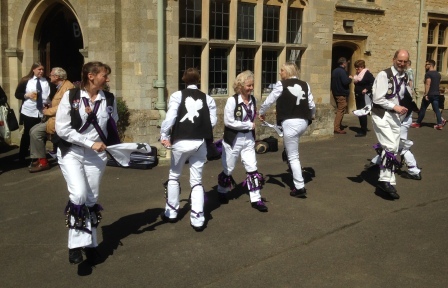 Unchanged and unspoilt interior, local cricket team meeting after practice, and morris happening outside. 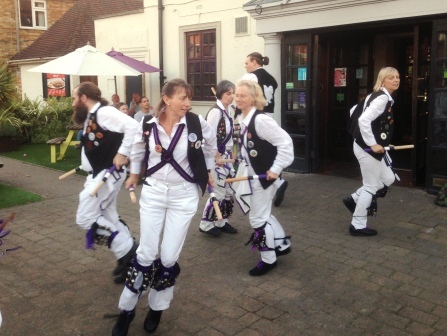 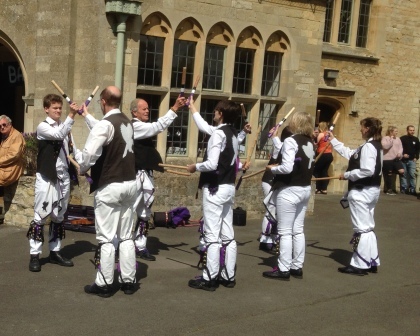 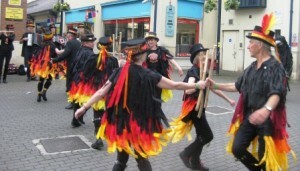 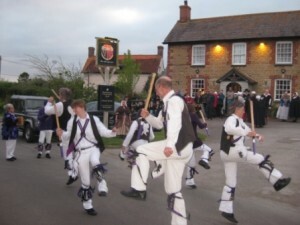 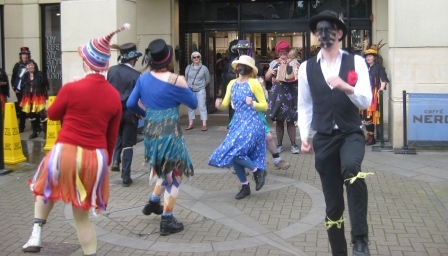 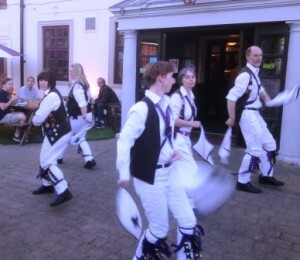 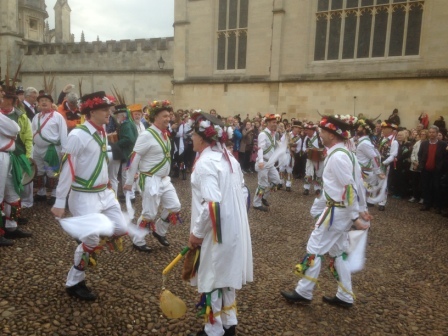 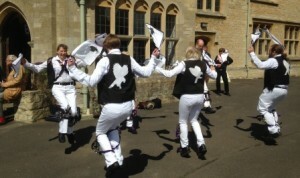 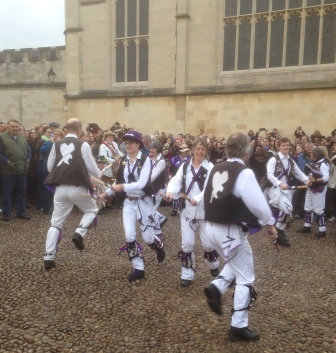 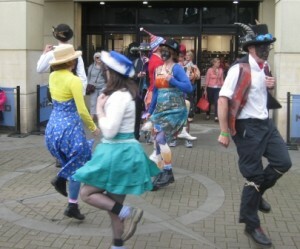 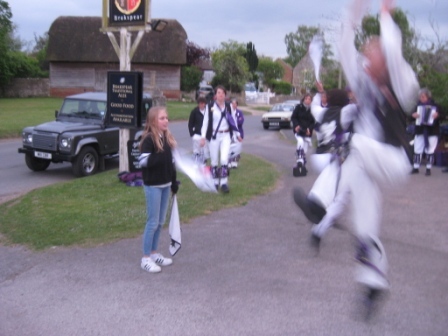 We were there with Rockhopper Morris on a glorious early summer evening. 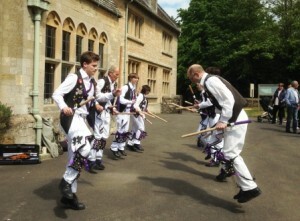 Or that’s what it felt like. 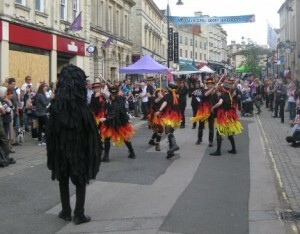 Quite brilliantly I managed to forget to take any pictures of Havoc, so here’s a few of Rockhopper doing what they. And they do it very well. Pipe and tabor. 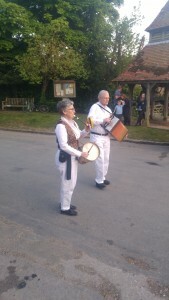 These sounded brilliant, and (I am told) are very difficult to learn to play. 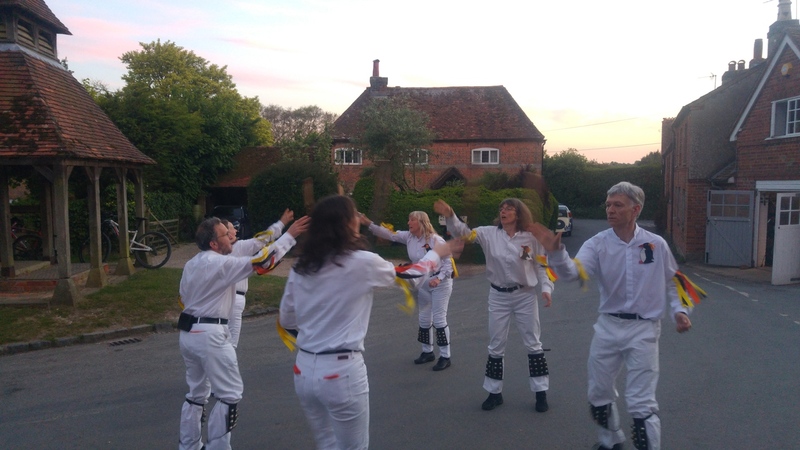 This entry was posted in Dance Outs on May 11, 2017 by Jim Hague. 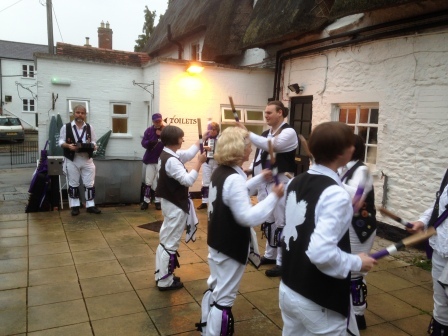 Yes, it really was that time in the morning. 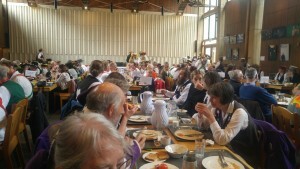 More pictures from May Morning. By ‘eck lad, it’s early. 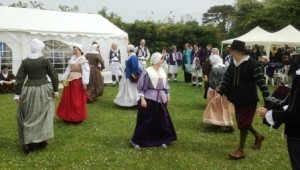 The choir start to appear. In Broad Street outside the White Horse. 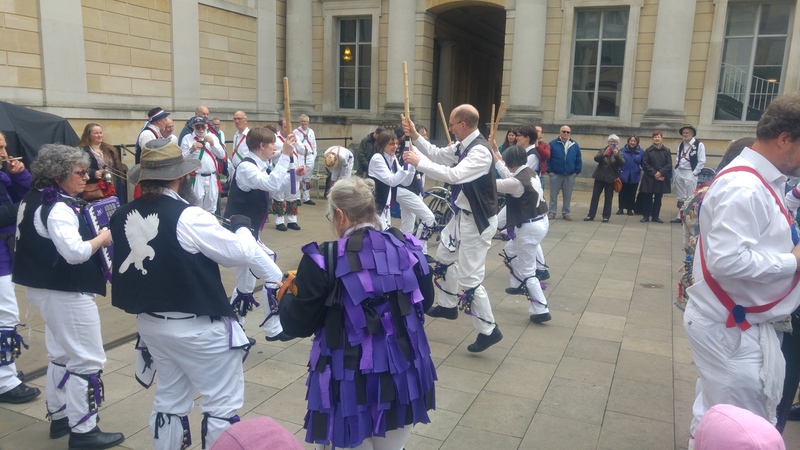 And off to the Ashmolean Steps. And after that, North Parade at midday. This entry was posted in Dance Outs on May 10, 2017 by Jim Hague. A skirmish gets things started! 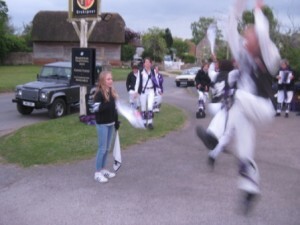 And very special guest Emily waits her turn to shave the donkey as the side move past the speed of light that was available! 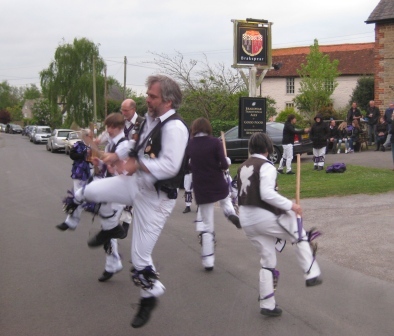 This entry was posted in Dance Outs on May 5, 2017 by Nigel Northcott. 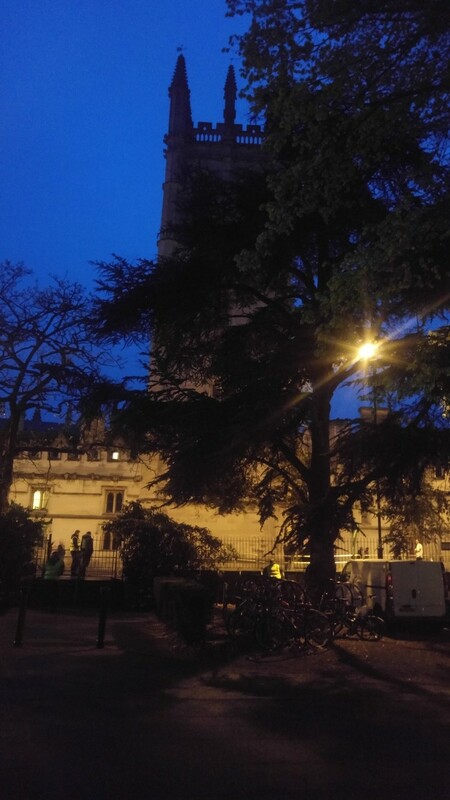 May morning – was it really 5am! 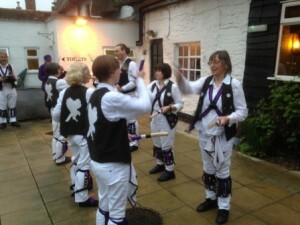 Only the weather was a bit gloomy! Emma Jigged! 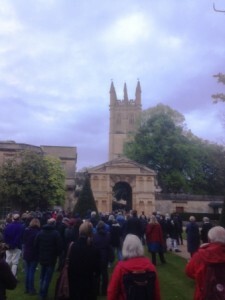 and the Crowd looked on as the choir sang! And finally Jim wowed the throng – and who wowed themselves with Shepherd’s Hey! This entry was posted in Dance Outs on May 1, 2017 by Nigel Northcott.